Our graduates work at Charlotte (North Carolina) Knights Triple-A baseball team, Columbus (Ohio) Bluejackets NHL hockey team, Gateway Grizzlies Professional Baseball, Iowa Cubs Triple-A baseball team, Short Hills Country Club, Wheels Up Charter Jets, and many more. Our Sports Management major is not only unique, it's hands-on, relevant, and fits your needs. SAU faculty use their community connections to make sure you experience all the field offers and give you the skills to be a roaring success. 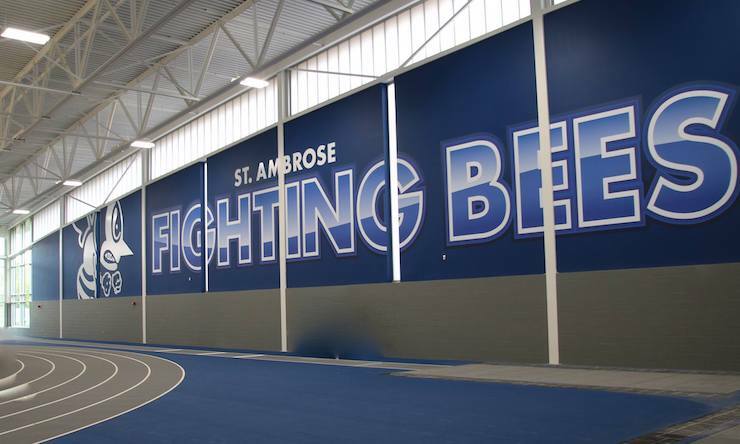 SAU students share in this video how the new Wellness and Recreation Center already has enhanced their St. Ambrose experience. Our campus tour takes visitors through the facility! 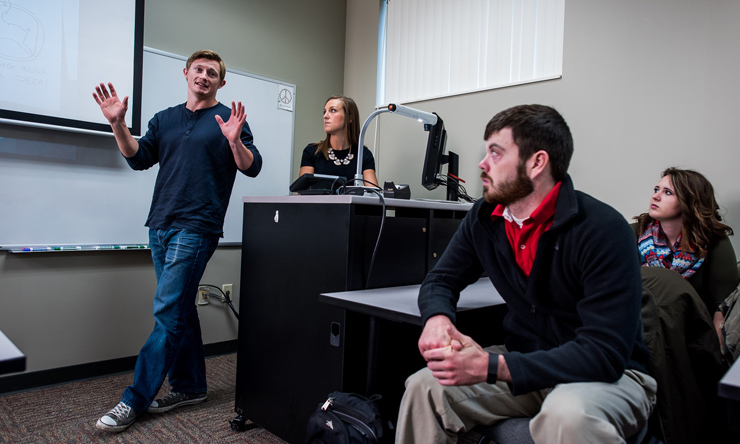 As a sport management major, you get a broad background in business and sports, including courses in accounting, economics, computer sciences, sport sociology, marketing, finance, and law. You will also learn marketing, public relations, business ethics, kinesiology, sports management, visual communications and technology, and financing sport organizations. Our Kinesiology and Business professors represent diverse fields of expertise and research and focus on giving you a well-rounded education. Students must be willing to engage in their learning and take advantage of many service and participation opportunities. Your education culminates with an internship, which gives you practical experience as you develop and strengthen connections in the sport management industry. 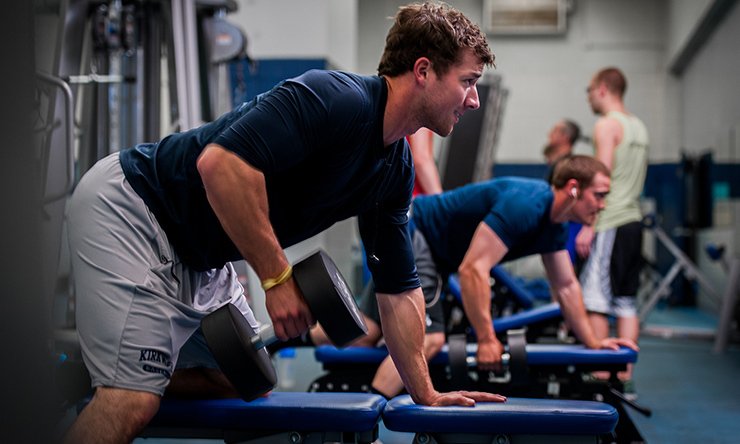 The Quad Cities is one of the top minor league sports markets in the U.S., and your professors have strong relationships with fitness and sport organizations throughout the area which gives you a wide range of local internship and placement options. Internship sites include local fitness facilities, professional sports teams, athletic programs, and sport venues. The internship is an important component of your education and development; the position, location, and duties you take on during the internship will allow you to connect your classroom learning with real-world situations. Don't worry: your professors will follow your progress and growth during the internship, and as always, will be a resource you can call on if needed. Read Why SAU Sport Management Interns Are Considered an Invaluable Resource. You've heard people say it before: "College will be the greatest time of your life!" With Study Abroad, you can add even more to your college years. You can study in another country – without paying extra tuition – in a semester-long or short-term study abroad program (with a few offered during spring and winterim breaks). No matter the duration, these trips deepen your professional education while earning credit toward graduation. There are also opportunities through an exchange program, an overseas internship, or volunteering. The limits for Study Abroad are only ones you set for yourself! SAU students have studied in Italy, Costa Rica, Australia, Korea, United Kingdom, Spain, Ecuador, Japan, Germany, Peru, Cyprus, Croatia, Belize, Canada, Chile, and more. SAU students returning from their Study Abroad locations talk about their time away as life-changing - personally, emotionally, culturally, and academically. Click here to search our Study Abroad programs, and for general information click here. What are some potential career outcomes? A Sport Management major can qualify you for a number of careers in the field of athletics, including sport facility manager, scout, sports and entertainment agent, athletic director, sales, promotions, public relations, fundraising, event marketing and management, sport camp management and operations, and print or broadcast journalism. What have alumni of this program done? Matthew Snider '16 is Regional Director of the Youth Sports Foundation in Muscatine, Iowa. Katarina Kaczmarzyk '16 works as the Event Coordinator for the St. Louis Convention and Visitors Commission-Explore St. Louis. Justin Halloran '17 played basketball for the Fighting Bees and continues being involved with the game as an assistant basketball coach at Black Hawk College, Moline, Ill. Classes are 3 credits unless otherwise noted. *Students can take KIN 401 up to four different semesters, as long as the topic is different each time. Rotating topics include: Advanced Sales Strategies in Sport, International Sport Business, Sport Communication, and Data Analytics in Sport. KIN 273 Women and Sport may be substituted for KIN 401. This is the suggested course of study for students majoring in Sport Management. NOTE: This plan assumes the student has not met the foreign language requirement (three years of foreign language taken in high school). For academic/merit-based awards, eligible students are matched to the qualifying award; some of them are listed below. For need-based support, eligibility is determined by the Free Application for Federal Student Aid (FAFSA). The SAU school code is 001889. Amounts are for first-year students entering St. Ambrose in the 2019-20 academic year. There is no need to apply for the scholarships or grants below; students automatically are eligible if they meet specific criteria. The Admissions Office calculates the award amount by using unweighted high school GPA and ACT/SAT scores. Your scholarship will automatically renew each year of your undergraduate studies, for up to four years, as long as you maintain satisfactory progress toward an undergraduate degree, a minimum 2.0 GPA, and remain a full-time student. At SAU, our international students can qualify for university scholarships and grants based on academic achievement, merit, and their performance and abilities in fine arts and athletics. Below, you'll find a quick summary of financial awards, and we continually look for ways to make an Ambrosian education even more affordable and attainable. Recently, we began offering athletic scholarships for Marching Band and Esports. If you have any questions or want to apply, please contact the International Student Admissions office. There is no need to apply for the scholarships or grants below; students are automatically are eligible if they meet specific criteria, although some may require a certain GPA to stay eligible. We have many international student-athletes who are contributing and growing their skills as valued team players. As a member of the National Association of Intercollegiate Athletics (NAIA), St. Ambrose can award athletic scholarships to student-athletes. The amount varies and is based on performance and ability. These scholarships allow you to earn a college education while competing in the sport that you love. At Ambrose, we embody the value of developing both the mind and body. To learn more about all of our athletic teams and opportunities – including Esports – click here. These scholarships are based on your performance and ability in art, music, or theatre, and you may qualify for the Michael Kennedy Theatre Scholarship. Audition or portfolio required. Contact the Admissions office to apply or for more information. See below to learn more about outside scholarships and we encourage you to begin your search early. Amounts are for transfer students entering St. Ambrose in the 2019-20 academic year. 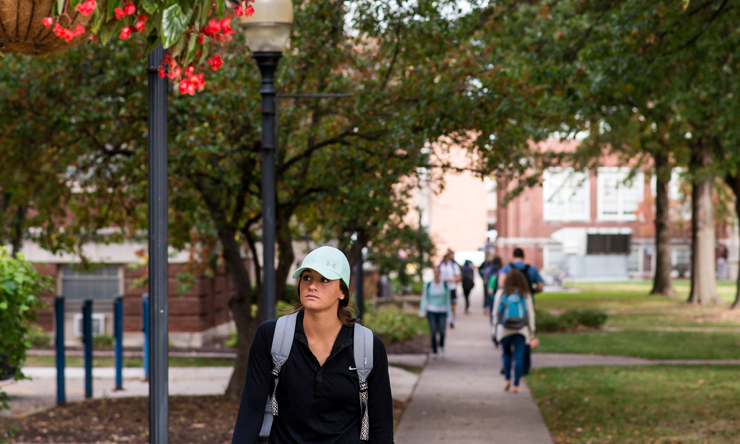 St. Ambrose scholarships are awarded for fall and spring semesters only and renewable up to 120 credits of undergraduate study, which includes credits transferred to St. Ambrose from prior attendance. For example: If you transfer in with an AA/AS degree, you would receive a scholarship for two additional years at St. Ambrose. Criteria: based on financial need, priority to Pell Grant recipients. File FAFSA as soon as possible after Oct. 1. Criteria: based on financial need, Iowa residents only. File FAFSA as soon as possible after Oct. 1, deadline July 1. As a member of the National Association of Intercollegiate Athletics (NAIA), St. Ambrose can award athletic scholarships to student athletes. These scholarships allow you to earn a college education while competing in the sport that you love. At Ambrose, we embody that value of developing both the mind and body. How do I qualify for an athletic scholarship? How do I qualify for a fine arts scholarship? Another tip: Next time you're on campus, check out the bulletin board outside Bee Central where we post more flyers and applications for outside scholarships.